It had been a while since I last visited Hogganfield Loch in the north of Glasgow so it was time for another visit. The weather has been very cold of late and the birds are not as lively as they would be if it was much milder. It has also been my spring holiday fortnight and I have not managed to get much walking done, as the weather has been so unpredictable. Although the strong easterly wind had died down after blowing for over a week, it was quite windy at Hogganfield. 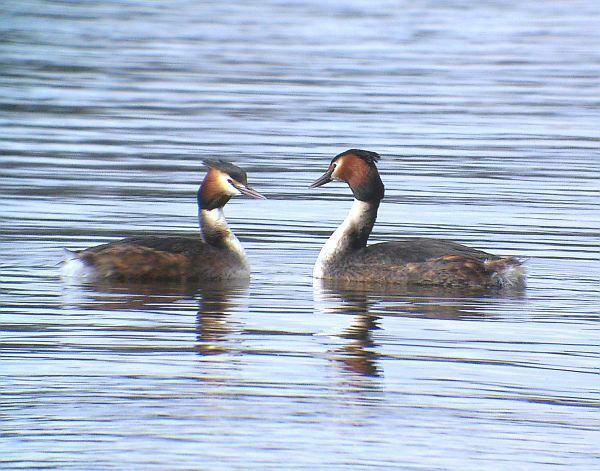 The smaller birds were getting blown on the choppy water and many of them were huddled around the shore area. 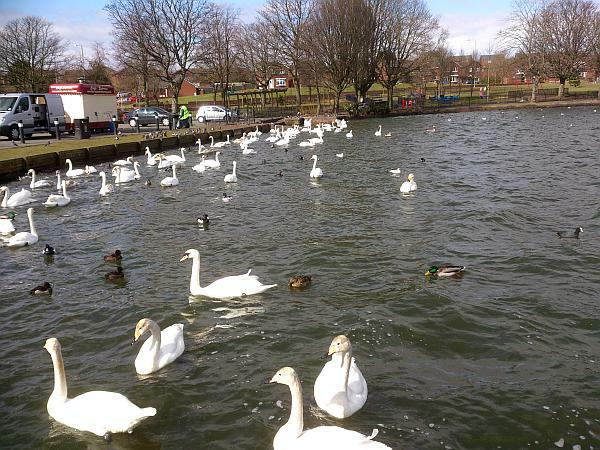 Hogganfield is very popular with visitors as it is in a residential area and the birds are used to humans and are not afraid. As a result, they come very close to the viewing area as they are fed by the many visitors. There were a large number of Mute swans and a small number of Whooper swans. Mute swans are resident in the UK, but whooper swans migrate to the Arctic in Spring for the long summer days which extend the breeding season. 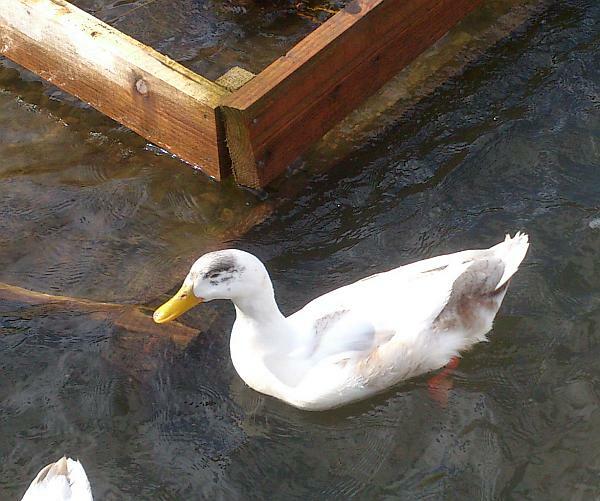 There was also a white goose which I had seen previously and many Black-headed gulls. There was also a large number of Tufted ducks further out on the loch. 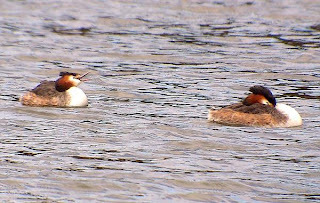 I had also been told that there was a Ruddy duck on the loch but I was unable to spot it with my binoculars or my scope. 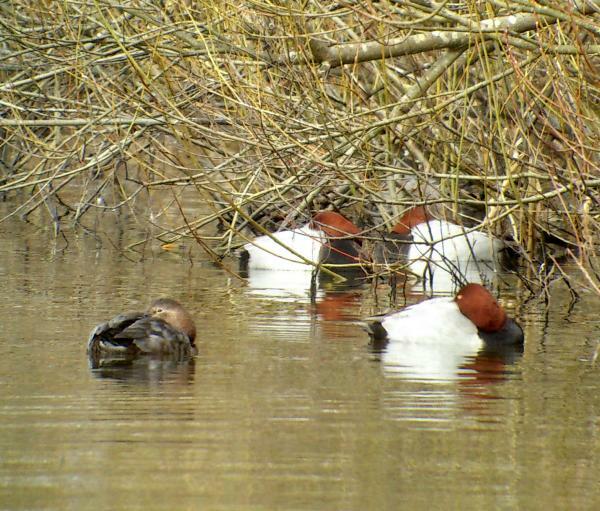 Ruddy ducks are American imports and have been culled in recent years. 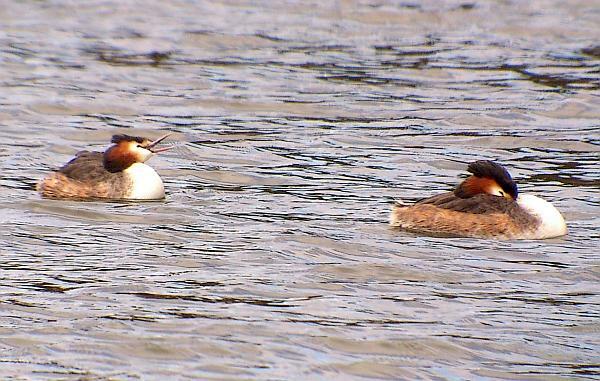 Walking around the loch, I spotted some Pochard and two pairs of Great Crested Grebe. Although I often see Pochard at my local bird watching pond at Baron's Haugh in Motherwell, I have not seen any Grebe. Most of the Pochard were huddled on the bank of the 'island' as it was so cold and they were using the "wing tuck" method which involves resting their heads on their backs and nuzzling their beaks into their back feathers. This also allows birds to rest their neck muscles and also makes for better heat conservation. 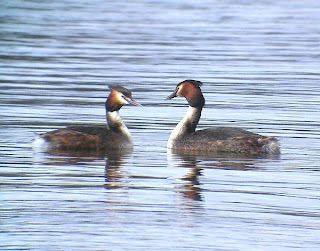 Fortunately the Grebe did lift their heads occasionally so I was able to get some photographs of these beautiful birds. 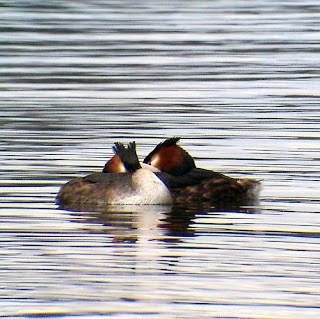 I used my scope and mobile phone to take some photographs of the Grebe and Pochard which came out quite well considering my hands were so cold. I had managed to get some good photographs so I decided to wrap it up for the day and come back on a better day when the birds were more lively. As Hogganfield Loch is very popular there is always a small shop selling refreshments and there are also toilet facilities in the golf course building it is good for a day out with friends. On arriving back at the city centre I walked to an excellent camera shop in Parnie Street, off Argyle Street, called 'Merchant City Cameras' to get information on turning my spotting scope into a digiscope, using my SLR camera attached directly to the scope. Merchant City Cameras is a great camera shop as the staff know what they are talking about and give good advice. I have previously bought a lot of my camera equipment from them. Came out with a Zeiss catalogue and information on how to do this. I will be getting set up for this in the near future so the photographs turn out better than they do using my mobile phone camera. Hogganfield Loch is off the M8 at Junction 12 and can also be accessed by bus from Glasgow City Centre. Numbers 6, 32, 37, 38 and 96 all go there. Address: Hogganfield Park, Cumbernauld Road, Robroyston, Glasgow G33 1AH.